Three days ago I ordered two books on Amazon.com. In 24 hours after I placed my order I got a message from Amazon with confirmation that my credit card has been authorized. Hurray! Amazon also confirmed order has shipped. Nice, isn’t it. I said to my self: In two weeks you will smell your brand new books at home. But what’s that? Amazon inform me in their message that estimated delivery date: December 16, 2005. Hm, how could it be - let me ask. Don’t you have any aricrafts there, in USA? Tyler is a geographer, enthusiast and developer of Open Source Software. He contributes to many projects. You can catch him on IRC channels #gdal i #qgis on the irc.freenode.net IRC server. I also recommend great podcast by Hobu - Interview with Tyler Mitchell. To make shippment costs lower I decided to order second book. 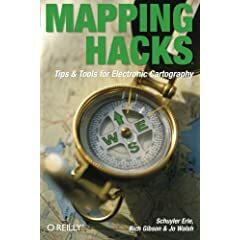 First, it was one of MapServer book but Tyler suggested me to buy this one - Mapping Hacks - for learn and fun. 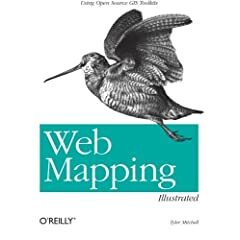 By the way, Amazone.com sells Tyler’s book about 10$ cheaper than O’Reilly :-) When I get and read those books I will write some review.